Vancouver’s annual April 20 protest festival is the world’s longest-running 4/20 event.  The number “420” was first used in reference to cannabis in the 1970s by a group of high school friends in California. They called themselves “The Waldos” and met every day at 4:20pm after school to smoke cannabis. They popularized the 420 term among the Grateful Dead community, which was then picked up and promoted in High Times magazine.  You can read more about the history of the 420 term here. Vancouver’s first April 20 protest was a small event, held in 1995 at Victory Square Park at Hastings and Cambie. The event was organized by Danna Rozek and Cindy Lassu, who worked at Marc Emery’s revolutionary Hemp BC shop. In 1997 the 4/20 protest was moved to the Art Gallery grounds downtown, and over 1000 people attended. The event grew every year, led for many years by local activist David Malmo-Levine who hosted cannabis raffles and a big joint giveaway at 4:20. Malmo-Levine encouraged people to sell and share cannabis at 4/20, creating a safe space for dealers and buyers. People started bringing bags of joints and infused cookies to sell. By 2007 there was over 7000 people at 4/20, packing the front of the Art Gallery. The event had grown to include day-long live music, public speakers and many booths openly selling cannabis products. Other 4/20 events had become established in cities across Canada. The event continued to grow exponentially in size and scope. By 2014 the crowds were surpassing 30,000 people, filling the whole Art Gallery and surrounding area, forcing the shutdown of Hornby, Howe, Robson and Georgia streets. After consultation with city officials, the 4/20 organizing committee decided to move the protest to Sunset Beach in 2016. This larger venue allows for increased public safety, less disruption and a better event for everyone. We are anticipating over 100,000 people to attend 4/20 this year. From humble beginnings, 4/20 has grown into one of Vancouver’s biggest and most popular public events. Every year we work with city and park officials, including police, health, emergency, park rangers, sanitation and traffic control, to ensure that our 4/20 protest festival is a safe, fun, positive community event. In 2018, 4/20 became the city’s only protest which compensated the city and park board for all event costs other than policing. The 4/20 organizing society paid over $60,000 to the city, as well as donating $4200 each to both St Paul’s Hospital and the Firefighter’s Charity. 2019 will mark Vancouver’s 25th annual 4/20 protest festival. The amazing free cannabis market which we have created together is absolutely unique. We welcome you to join us, enjoy some of the world’s best cannabis products, celebrate the cannabis culture, and protest against the stigma and harassment which cannabis users still face. Thank you and a have a great 420!